Aasland, E. (2009). Elephants [Online Image]. Retrieved June 14, 2018 from https://www.flickr.com. Aerofossile2012. (2015). Boeing 737-3H6/F – F-GIXS (Europe Airpost) [Online Image]. Retrieved from https://www.flickr.com. Al. (2013). Cattle [Online Image]. Retrieved from https://www.flickr.com/photos/wonderal/9417459425/. Amorim, E. (2007). Rincão [Online Image]. Retrieved July 4, 2018 from https://www.flickr.com. Andy. (2006). Coyote [Online Image]. Retrieved from https://www.flickr.com/photos/scarce/392846891/. A.Poulos(aka Iya). Mule deer 2 [Online Image]. Retrieved from https://www.flickr.com. Arab League. (2008). Caracal distribution – 2 [Online Image]. Retrieved from https://commons.wikimedia.org/wiki/File:Caracal_distribution_-2.png#/media/File:Caracal_distribution-_2.png. Atherton, J. (1975). Excavating beads during archaeological investigations at the old Champoeg townsite at Champoeg State Park (Oregon, USA), 1975 [Online Image]. Retrieved from https://www.flickr.com/photos/gbaku/1543938104/in/faves-150218480@N07/. Balaji810. (2009). CSU Science and Research Center, Cleveland State University [Online Image]. Retrieved June 27, 2018 from https://commons.wikimedia.org/wiki/File:CSU_Science_and_Research_Center.JPG#/media/File:CSU_Science_and_Research_Center.JPG. Barnum, K. (2014). Belikin beer [Online Image]. Retrieved from https://www.flickr.com. Bauschardt, K. (2013). Yellow-headed Amazons [Online Image]. Retrieved from https://www.flickr.com. Bellemare, M. (2015). Done [Online Image]. Retrieved March 13, 2018 from https://www.flickr.com/photos/bellemarematt/16778949336/. Burkett, D. (2012). Mexican gray wolf [Online Image]. Retrieved from https://www.flickr.com. Burmesedays. (2010). Belize regions map [Online Image]. Retrieved from https://commons.wikimedia.org/wiki/Atlas_of_Belize#/media/File:Belize_Regions_map.png. cajean2. (2008). Lamech rewarded for good grades [Online Image]. Retrieved from https://www.flickr.com/photos/29484814@N02/2757248109/. CaptSpaulding. (2009). Elk [Online Image]. Retrieved July 1, 2018 from https://www.flickr.com/photos/captspaulding/3358453389/. Central Intelligence Agency. (2002). Shaded relief map of Belize [Online Image]. Retrieved from https://commons.wikimedia.org/wiki/File:Belize_rel_03.jpg#/media/File:Belize_rel_03.jpg. Choudhury, A. (2013). Lightening [Online Image]. Retrieved June 27, 2018 from https://www.flickr.com. Clark, M. Javelina3 [Online Image]. Retrieved from https://www.northernjaguarproject.org/photo-gallery/border-wall/. Couperus, J. (2007). Black bear [Online Image]. Retrieved from https://www.flickr.com/photos/jitze1942/1750394833/. Cuppini, R. (2008). Chimpanzee [Online Image]. Retrieved from https://www.flickr.com. Curtis, D. (2012). Harpy eagle 121113 Harpia harpyja [Online Image]. Retrieved from https://www.flickr.com/photos/davethebird/8423952142/. Danielsson, L. (2014). Potsherd from Fossil Beach [Online Image]. Retrieved January 3, 2018 from https://www.flickr.com/photos/gemstone/14901298513/. Dantheman9758. (2008). High res mastodon rendering [Online Image]. Retrieved from https://en.wikipedia.org/wiki/Paleo-Indians#/media/File:High_res_mastodon_rendering.jpg. Das, B. (2012). Dhole [Online Image]. Retrieved February 14, 2018 from https://www.flickr.com. de Jong-Lantink, M. (2009). Vietnam, maart 2009 [Online Image]. Retrieved July 1, 2018 from https://www.flickr.com/photos/marthaenpiet/3552243401/. Delusion23. (2011). Tajfel’s Theory of Social Identity [Online Image]. Retrieved from https://commons.wikimedia.org. DIAC Images. (2010). Harmony Day [Online Image]. Retrieved from https://en.wikipedia.org/wiki/Cultural_diversity#/media/File:Harmony_Day_%285475651018%29.jpg. Doran, B. (2010). Bigfoot museum in Willow Creek, California [Online Image]. Retrieved January 23, 2019 from https://commons.wikimedia.org/wiki/File:Bigfoot_Museum_Willow_Creek.jpg#/media/File:Bigfoot_Museum_Willow_Creek.jpg. Downes, S. (2014). Bicycle [Online Image]. Retrieved from https://www.flickr.com. Drriss & Marrionn. (2014). Orange Walk – Nuts of the cohune palm tree [Online Image]. Retrieved from https://www.flickr.com/photos/drriss/15201893922/. Dupont, B. (1994). Indian gazelle (Gazella bennettii) [Online Image]. Retrieved July 24, 2018 from https://www.flickr.com/photos/berniedup/19726669764. Dupont, B. (2008). The High Temple “El Castillo” [Online Image]. Retrieved from https://www.flickr.com/photos/berniedup/6776058289/. Dupont, B. (2014). Serval (Leptailurus serval) [Online Image]. Retrieved February 28, 2019 from https://www.flickr.com/photos/berniedup/14034186795/. Dupont, B. (2016). Red brocket (Mazama americana) stag [Online Image]. Retrieved May 21, 2018 from https://www.flickr.com. eeetthaannn. (2014). Runway 32, Arcata-Eureka Airport (ACV) [Online Image]. Retrieved from https://www.flickr.com/photos/eeetthaannn/12874336735/. eMammal. (2008). White-lipped peccary [Online Image]. Retrieved April 22, 2018 from https://www.flickr.com. Eytan, T. (2013). Forward on climate 19801 [Online Image]. Retrieved from https://www.flickr.com. Ewing, C. P. (2015). Yellow headed amazon portrait [Online Image]. Retrieved from https://www.flickr.com. FlippyFlink. (2010). Plow [Online Image]. Retrieved from https://commons.wikimedia.org/wiki/File:Plow.jpg#/media/File:Plow.jpg. Fonferko, E. (2017). 3S5X6603 [Online Image]. Retrieved June 9, 2018 from https://www.flickr.com. Game, Shell. (2011). Steller’s jay [Online Image]. Retrieved from https://www.flickr.com. Garns, R. (2013). Mennonites on the corner in OWT [Online Image]. Retrieved from https://www.flickr.com. Gathany, J. (2006). Phlebotomus pappatasi bloodmeal begin [Online Image]. Retrieved from https://commons.wikimedia.org/wiki/File:Phlebotomus_pappatasi_bloodmeal_begin.jpg. Gerry. (2012). White-tailed deer [Online Image]. Retrieved July 13, 2018 from https://www.flickr.com/photos/tuchodi/8179118847/. Graeme. (2012). Balrog Lord of the Rings [Online Image]. Retrieved June 21, 2018 from https://graemefazakerley.deviantart.com/art/balrog-lord-of-the-rings-329421334. Halasz, P. (2007). Status iucn3.1 threatened [Online Image]. Retrieved from https://commons.wikimedia.org/wiki/File:Status_iucn3.1_threatened.svg. Halling, P. (2006). Strip Grazing at Merrivale Farm – geograph.org.uk – 158315.jpg [Online Image]. Retrieved from https://commons.wikimedia.org/wiki/File:Strip_Grazing_at_Merrivale_Farm_-geograph.org.uk-_158315.jpg. Harbula, S. (2012). Crested guan [Online Image]. Retrieved from https://www.flickr.com. Harris, V. (2013). Chert [Online Image]. Retrieved December 30, 2017 from https://www.flickr.com/photos/64878216@N04/9533684419/. Hillebrand, S. (2016). Untitled [Online Image]. Retrieved December 20, 2018 from https://pixnio.com/miscellaneous/refuge-border-wall-with-truck. Ho, T. (2010). Give & Take Escoba [Online Image]. Retrieved from https://www.flickr.com. Hoffman, A. (2013). 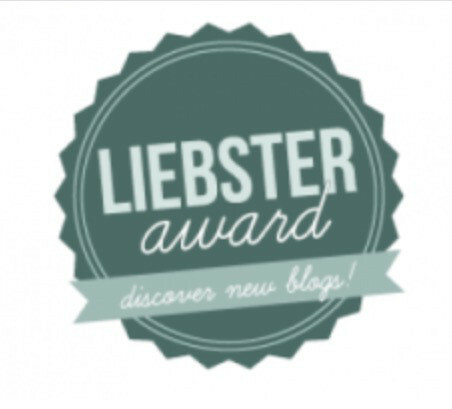 Liebster-Award-Badge [Online Image]. Retrieved August 29, 2018 from https://www.flickr.com/photos/adriennethird/9242099936/in/photolist-f5GbjC. Hoffman, B. (2009). Recording depth [Online Image]. Retrieved from https://www.flickr.com/photos/buzzhoffman/4230345986/in/faves-150218480@N07/. Hunter, P. (2017). BorderEncuentro2017_Day2_IMG_1164-1 [Online Image]. Retrieved April 14, 2018 from https://www.flickr.com/photos/43005015@N06/24572371928/. InSapphoWeTrust. (2012). Lego Star Wars – Set 10188 Death Star [Online Image]. Retrieved August 29, 2018 from https://commons.wikimedia.org/wiki/File:Lego_Star_Wars_-Set_10188_Death_Star(6884744697).jpg. jbhalper. (2005a). Chell’s flamboyant bus [Online Image]. Retrieved February 21, 2018 from https://www.flickr.com/photos/jbhalper/20983654/in/photostream/. jbhalper. (2005b). Stela at La Milpa [Online Image]. Retrieved from https://www.flickr.com/photos/jbhalper/20989662/. Johnson, C. (2006). Medieval ceramic Midlands White Ware jug handle fragments [Online Image]. Retrieved from https://commons.wikimedia.org/wiki/File:Medieval_ceramic_Midlands_White_Ware_jug_handle_fragments_(FindID_138610).jpg. Judge, D. (2017). 28.5.17 2 Cattle at Westwood Pasture Beverley 06 [Online Image]. Retrieved June 11, 2018 from https://www.flickr.com. Keller, E. (2017). Nice portrait of a male clouded leopard [Online Image]. Retrieved from https://www.flickr.com. Kenrick, N. (2003). Walbran Creek, Old Growth forest, Vancouver Island [Online Image]. Retrieved January 3, 2018 from https://www.flickr.com/photos/zedzap/5448776656/. Lamson, G. (2010). Elephant crossing river in Okavango Delta in Botswana-09 9-10-10 [Online Image]. Retrieved May 19, 2018 from https://www.flickr.com/photos/lamsongf/6409819561/. Lindgren, B. Staffan. (2014). Garter snake [Online Image]. Retrieved from https://www.flickr.com/photos/bslindgren/14284683925/. Lim, K. (2012). Nice double espresso at Jet, QVB, Sydney [Online Image]. Retrieved September 5, 2018 from https://www.flickr.com/photos/ultrakml/7352845018/. Lofaro, J. (2018). World Wildlife Day [Online Image]. Retrieved March 2, 2018 from https://www.flickr.com/photos/worldwildlifeday/25505866647/in/album-72157692064908524/. LostDogPhotos. (2011). Tanoak [Online Image]. Retrieved from https://www.flickr.com/photos/trb2dog/5617519703/. Lowe, J. (2009). 2.11.Tina and Christian’s units end of day 2 [Online Image]. Retrieved from https://www.flickr.com/photos/texasrobo/4158201569/in/faves-150218480@N07/. Malingering. (2008). Untitled [Online Image]. Retrieved from https://www.flickr.com/photos/malingering/2627225038/. Manners, M. (2006). Jackfruit [Online Image]. Retrieved July 1, 2018 from https://www.flickr.com/photos/mmmavocado/11488143764/. Mark. (2007). Cups you won’t be able to buy soon [Online Image]. Retrieved October 16, 2018 from https://www.flickr.com/photos/coffeegeek/502699728. McLin, H. T. (2009). Red-tailed hawk with mallard prey [Online Image]. Retrieved from https://www.flickr.com. McNear, N. (2014). Oregon ensatina showing Unken reflex [Online Image]. Retrieved September 26, 2018 from https://www.flickr.com/photos/midasvanderhand/12247851376/. Mercier, C. (2012). Great curassow [Online Image]. Retrieved from https://www.flickr.com/photos/koalie/7235768020/. Mickel, A. (2012). I Didn’t Ax You [Online Image]. Retrieved from https://www.flickr.com/photos/17193322@N03/8448316168/. Miller, C. (2018). Is it Spring yet? [Online Image]. Retrieved April 27, 2018 from https://www.flickr.com. Miura, P. (2013). Pescador (Rio Cuiabá, Mato Grosso, Brasil) [Online Image]. Retrieved July 4, 2018 from https://www.flickr.com/photos/paulisson_miura/16476274862/. Mlinaric, I. (2008). Capuchin Monkey closeup [Online Image]. Retrieved from https://www.flickr.com/photos/eye1/3186409766/. Moilanen, U. (2016). Viking exhibition in Tallinn, Estonia [Online Image]. Retrieved from https://www.flickr.com/photos/139498582@N05/31821589151. Morton, I. (2015). Spartacus the rescued black howler monkey (Alouatta pigra) ready for release [Online Image]. Retrieved from https://www.flickr.com. Mourre, V. (2010). Blombos Point [Online Image]. Retrieved from https://en.wikipedia.org/wiki/Middle_Stone_Age#/media/File:Blombos_point.JPG. National Park Service. (2016). Safety Talk [Online Image]. Retrieved June 3, 2018 from https://www.flickr.com/photos/santamonicamtns/27478453711/in/album-72157686371601046/. Neuschul, C. (2013). Main Bus Station, Orange Walk Town [Online Image]. Retrieved April 3, 2018 from https://www.flickr.com/photos/pixculture/8455450900/. Nevermind2. (2007). Moscow traffic congestion [Online Image]. Retrieved from https://en.wikipedia.org/wiki/Traffic_congestion#/media/File:Moscow_traffic_congestion.JPG. Northern Jaguar Project. Deer stopped by U.S.-Mexico border wall [Online Image]. Retrieved from http://www.northernjaguarproject.org/photo-gallery/border-wall/. Northern Jaguar Project. Untitled [Online Image]. Retrieved from https://www.northernjaguarproject.org/photo-gallery/border-wall/. Not enough megapixels. (2011). Patriotic fans on The Mall [Online Image]. Retrieved from https://www.flickr.com. Ortiz, M. R. D. (2012). ES Joya Ceren Museum 05 2012 1520 [Online Image]. Retrieved December 22, 2017 from https://commons.wikimedia.org/wiki/File:ES_Joya_Ceren_Museum_05_2012_1520.JPG. Orzanna, R. (2015). Theory of planned behavior [Online Image]. Retrieved from https://en.wikipedia.org/wiki/Theory_of_planned_behavior#/media/File:Theory_of_planned_behavior.png. outdoorPDK. (2006). Huckleberries [Online Image]. Retrieved from https://www.flickr.com/photos/21202718@N00/247254605/. Pgbk87. (2009). Philip S. W. Goldson International Airport [Online Image]. Retrieved July 12, 2018 from https://commons.wikimedia.org/wiki/File:Philip_S._W._Goldson_International_Airport.jpg#/media/File:Philip_S._W._Goldson_International_Airport.jpg. PilotGirl (2015). Belize City Airport [Online Image]. Retrieved from https://www.flickr.com/photos/pilotgirl/15761444073/. Pitkänen, E. (2011). Bat [Online Image]. Retrieved April 27, 2018 from https://www.flickr.com/photos/esaskar/6085268280/. Povtula. (2010). Group of webmaster of Social communication section of Don Bosco Sihanoukville, Cambodia [Online Image]. Retrieved from https://commons.wikimedia.org. Proimos, A. (2011). Cattle Ranch [Online Image]. 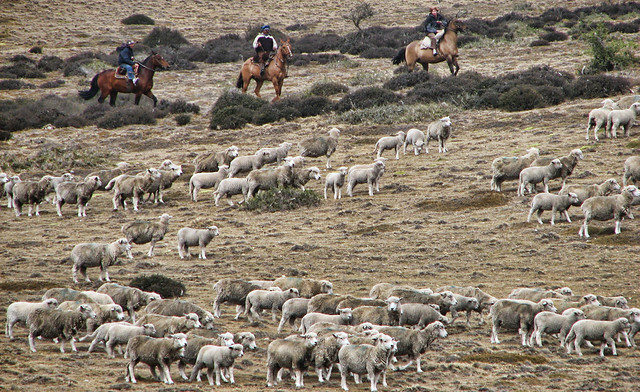 Retrieved from https://commons.wikimedia.org/wiki/File:Cattle_Ranch_%285451966167%29.jpg#/media/File:Cattle_Ranch_%285451966167%29.jpg. Quadtripplea. (2010). Walk with lions at The Ranch Resort [Online Image]. Retrieved January 3, 2019 from https://commons.wikimedia.org/wiki/File:TheRanchResortWalkWithLionApril2010.JPG#/media/File:TheRanchResortWalkWithLionApril2010.JPG. Qyd. (2006). Trans-Canada-wildlife overpass [Online Image]. Retrieved from https://commons.wikimedia.org/wiki/File:Trans-Canada-wildlife_overpass.JPG#/media/File:Trans-Canada-wildlife_overpass.JPG. Raju, D. (2017). Jungle cat [Online Image]. Retrieved October 16, 2018 from https://commons.wikimedia.org/wiki/File:Jungle_cat_(4).jpg#/media/File:Jungle_cat_(4).jpg. Reynolds, L. (2009). Certified Rainforest Alliance Est 1987 [Online Image]. Retrieved from https://www.flickr.com/photos/lwr/4635813014. Rivard, D. (2005). DSC_8993 [Online Image]. Retrieved from https://www.flickr.com. Robbins, T. (2015). Towel-759980_1920 [Online Image]. Retrieved from https://pixabay.com/en/towel-rose-clean-care-salon-spa-759980. SarahTz. (2014). Novelo’s Bus Terminal, Belize City, Belize [Online Image]. Retrieved April 3, 2018 from https://www.flickr.com. Schanz, T. (2013). HP-HP9000-735-99-Workstation 02 [Online Image]. Retrieved May 30, 2018 from https://commons.wikimedia.org/wiki/File:HP-HP9000-735-99-Workstation_02.jpg#/media/File:HP-HP9000-735-99-Workstation_02.jpg. Secretlondon123. (2010). Turkish coffee [Online Image]. Retrieved from https://www.flickr.com. Shankar S. (2014). This rescued bear is certainly much happier now! [Online Image]. Retrieved from https://www.flickr.com. Shyam Bahadur Sunari Magar. (2010). Happy to play with nature Miss Shova Shah [Online Image]. Retrieved January 26, 2019 from https://commons.wikimedia.org/wiki/File:Happy_to_play_with_nature_miss_shova_shah.jpg#/media/File:Happy_to_play_with_nature_miss_shova_shah.jpg. Sickter6. (2012). Culvert with a drop [Online Image]. Retrieved from https://en.wikipedia.org/wiki/Culvert#/media/File:Culvert_with_a_drop.jpeg. Smurf, C. (2013). FT5A4779 [Online Image]. Retrieved February 14, 2018 from https://www.flickr.com. stanze. (2015). Smoked sheep [Online image]. Retrieved September 19, 2018 from https://www.flickr.com/photos/stanzebla/16474451351/. St. John, J. (2015a). Chalk (“Upper Chalk” Formation, Upper Cretaceous; White Cliffs of Dover, England, southern Britain) [Online Image]. Retrieved from https://www.flickr.com/photos/jsjgeology/16610898008/in/photostream/. St. John, J. (2015b). Obsidian [Online Image]. Retrieved from https://www.flickr.com/photos/jsjgeology/16146555584. Sunny. (2014). Butterfly [Online Image]. Retrieved May 10, 2018 from https://www.flickr.com. Suryawanshi, K. (2013). Blue sheep Pseudois nayaur (Male) [Online Image]. Retrieved from https://commons.wikimedia.org/wiki/File:Blue_sheep_Pseudois_nayaur_(Male).JPG#/media/File:Blue_sheep_Pseudois_nayaur_(Male).JPG. Sutter, R. (2009). IMG_5086 [Online Image]. Retrieved April 3, 2018 from https://www.flickr.com/photos/rebeccaaaa/3810888938/. Szekely, P. (2016). Osaka, Japan [Online Image]. Retrieved May 5, 2018 from https://www.flickr.com/photos/pedrosz/30690596165/. ten Brink, C. (2011). Belize bus terminal [Online Image]. Retrieved April 3, 2018 from https://www.flickr.com/photos/carsten_tb/5629678090/. The Bees. (2015). Flint knapping lesson [Online Image]. 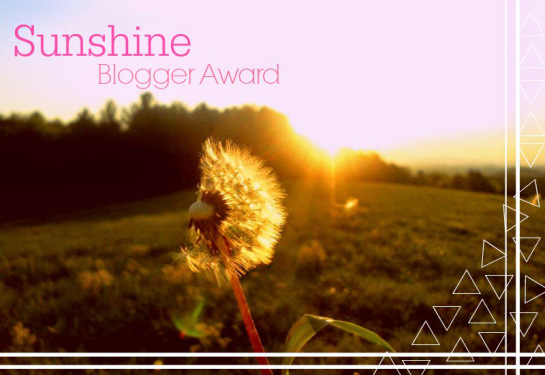 Retrieved from https://www.flickr.com/photos/thebees/18799906204/. The Yellowrider. (2011). Pigeon [Online Image]. Retrieved from https://www.flickr.com. Tjflex2. (2015). Our backyard coyote [Online Image]. Retrieved from https://www.flickr.com/photos/tjflex/22070179565/. USFWS Midwest. (2016). White-crowned sparrow [Online Image]. Retrieved from https://www.flickr.com/photos/usfwsmidwest/33555834621/. USFWS Mountain-Prairie. (2014). Wyoming mule deer [Online Image]. Retrieved April 6, 2019 from https://www.flickr.com. U.S. Geological Survey. (2007). Here’s looking at you kid – Meet a Florida manatee [Online Image]. Retrieved March 28, 2019 from https://www.flickr.com. US Navy. (2007). 070622-N-2143T-002 [Online Image]. Retrieved from https://commons.wikimedia.org. van Niekerk, J. (2012). Tortoise – detail [Online Image]. Retrieved February 4, 2012 from https://www.flickr.com/photos/gustible/7227524040/. Vijayaraghavan, G. (2009). Caracal [Online Image]. Retrieved February 26, 2019 from https://www.flickr.com/photos/t3rmin4t0r/3926003359/. Voon, F. (2006). IMG_4042 [Online Image]. Retrieved from https://www.flickr.com/photos/chingfang/296232350/. Watson, M. (2009). Red Squirrel [Online Image]. Retrieved from https://www.flickr.com. Webhamster. (2008). Campfire [Online Image]. Retrieved from https://www.flickr.com. Wessex Archaeology. (2009). Polished flint [Online Image]. Retrieved from https://www.flickr.com/photos/wessexarchaeology/4932283630/. Wiki-vr. (2005). Map of USA showing state names [Online Image]. Retrieved from https://commons.wikimedia.org/wiki/File:Map_of_USA_showing_state_names.png#/media/File:Map_of_USA_showing_state_names.png. Wilson, D. (2009). Untitled [Online Image]. Retrieved June 7, 2018 from https://www.flickr.com/photos/heathermariex3/3346869146/. World Resources Institute (2013). Pesalat Reforestation Project, Central Kalimantan, Indonesia [Online Image]. Retrieved from https://www.flickr.com/photos/worldresourcesinstitute/14244707259. Wright, S. (2009). Ocelot (Leopardus pardalis), Santago [Online Image]. Retrieved February 23, 2019 from https://www.flickr.com/photos/spencer77/4904378224/. Wunder, M. (2014). Desert [Online Image]. Retrieved from https://pixabay.com/en/desert-drought-dehydrated-clay-soil-279862/. Wursten, B. (2010). Poledancing for Darwin [Online Image]. Retrieved June 14, 2018 from https://www.flickr.com. Wuyts, A. (2013). Spotted Paca [Online Image]. Retrieved May 21, 2018 from https://www.flickr.com/photos/vintagedept/9211709530. Zepeda, A. (2014). White-tailed deer [Online Image]. Retrieved January 9, 2019 from https://www.flickr.com/photos/avexbhphotos/14181694798/. Zhu. (2011). Orange Walk Bus Station [Online Image]. Retrieved February 26, 2018 from https://www.flickr.com/photos/xiaozhuli/6551423311/in/photostream/. Bennet, B. (2013). Cognitive Dissonance [Video File]. Retrieved from https://www.youtube.com/watch?v=gN-6nBs7sbI. Crees Foundation. (2015). Cats of the Peruvian Amazon; the Manu Biosphere Reserve [Video File]. Retrieved from https://www.youtube.com/watch?v=5bxi3JbK6QQ. Elfström, B. The Mongolian Bankhar Dog Project [Video File]. Retrieved from https://www.youtube.com/watch?v=IBlcx37dHk0&index=14&list=WL. Naidu, A. (2018). License to Save [Video File]. Retrieved from https://youtu.be/ahD6A6o-gws. O’Kon, J. A. (2012). Maya kiln [Video File]. Retrieved December 13, 2017 from https://www.youtube.com/watch?v=NsmMi8N9C2s. Vox. (2015). The Best Cat Videos Come from the Wild [Video File]. Retrieved from https://www.youtube.com/watch?v=flM0NTYtees&sns=em. Zimbardo, P. (2008). The Psychology of Evil [Video File]. Retrieved from http://www.ted.com/talks/philip_zimbardo_on_the_psychology_of_evil.